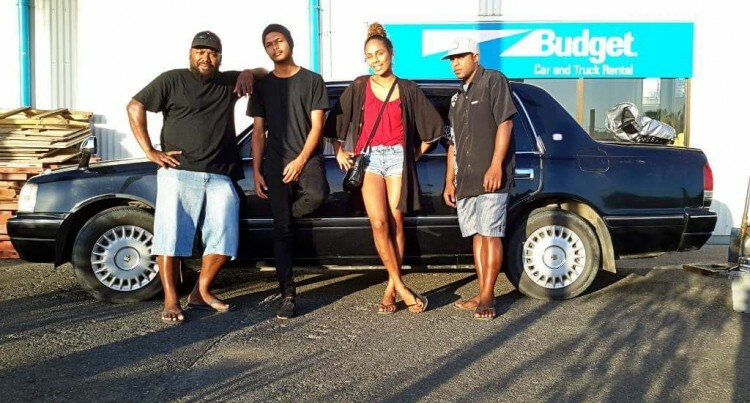 The Beat Fiji band is making a name in the local music scene since 2015. Band leader and lead singer, Nicky Beddoes is the daughter of renowned singer, Bill Beddoes and the late Lia Osborne. “I use to sing with my dad but after he retired I took over from him,” he said. Nicky said their name came about earlier last year when then they were performing at a wedding. “A man approached us and suggested that we call ourselves the beat, because even with only three members and two instruments, the beat makes the music sound complete,” he said. The band has always been an acoustic three piece until Nicky’s brother, Albert Beddoes joined. They do cover songs from classical old school songs like Lionel Richie to new school music. They have played during weddings, birthdays and upon invitation like in the recent climate change event held in Suva this month. They jam as an in-house band at Cardo’s Restaurant in Port Denarau, Nadi and for them it’s always keeping up their standard through their music. Their long-term plan is to make an album and to do originals and be role models for upcoming artists and do their best in delivering great music. “Social media is definitely going to be the biggest boost for our band and make people realise that we have absolutely so much to give,” said Nicky. The four band members are: Nicky Beddoes-Lead singer, John Leonard-drummer, Ben Wakawaka-lead guitarist, and Albert Beddoes-rhythm guitarist. The Nadi based band wished to thank their families, friends, and fan base for all their support. You can check out their official The Beat Fiji Facebook page for more information. So if you’re around the Nadi area go check them out at Cardo’s Restaurant in Port Denarau every Wednesday-Friday from 6:00pm-9:30pm for great music.